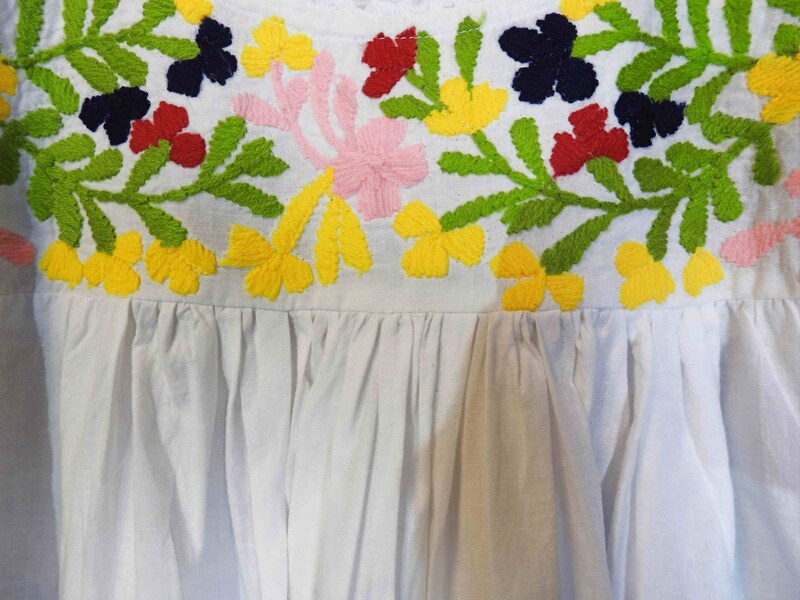 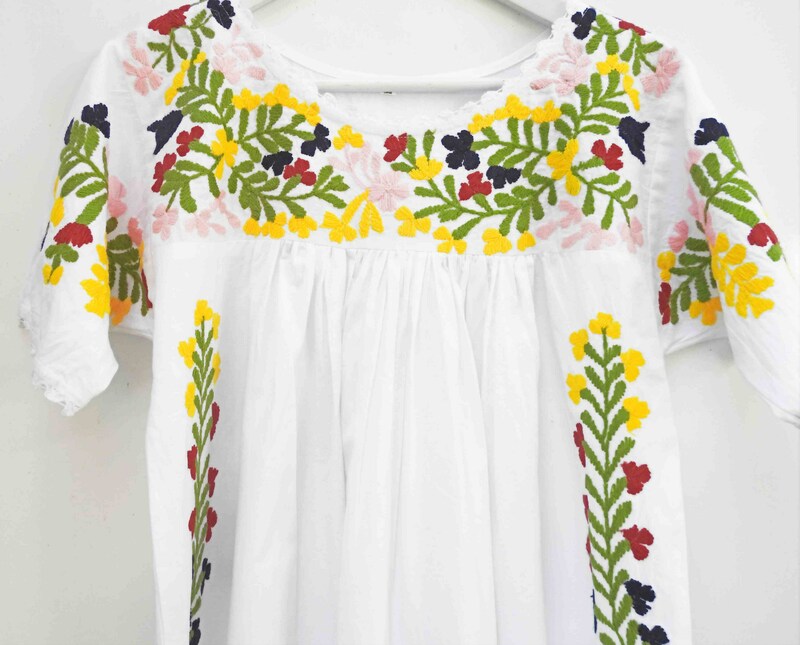 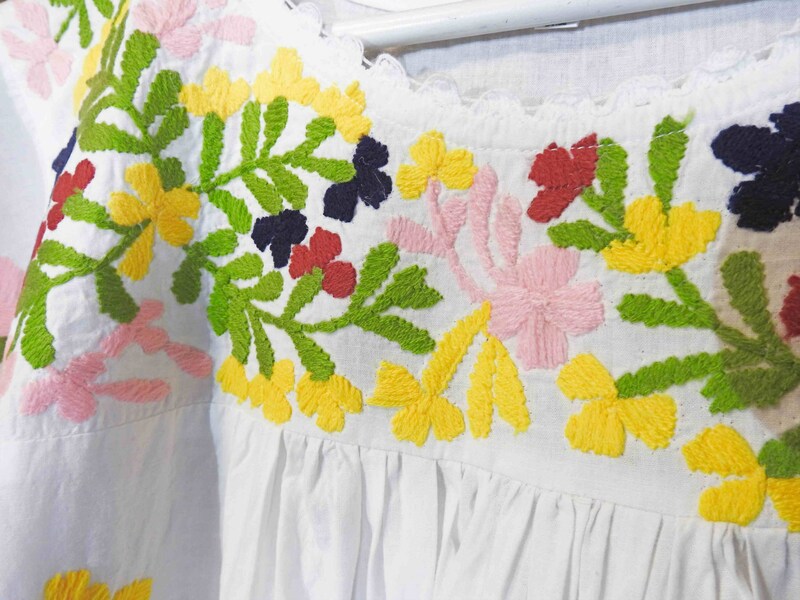 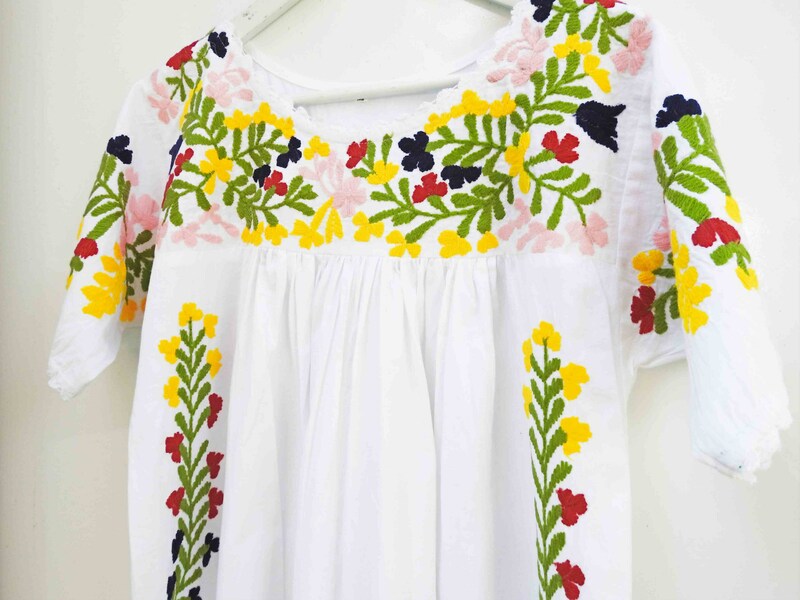 Fall in love with the floral pattern of this Mexican embroidered maxi dress. 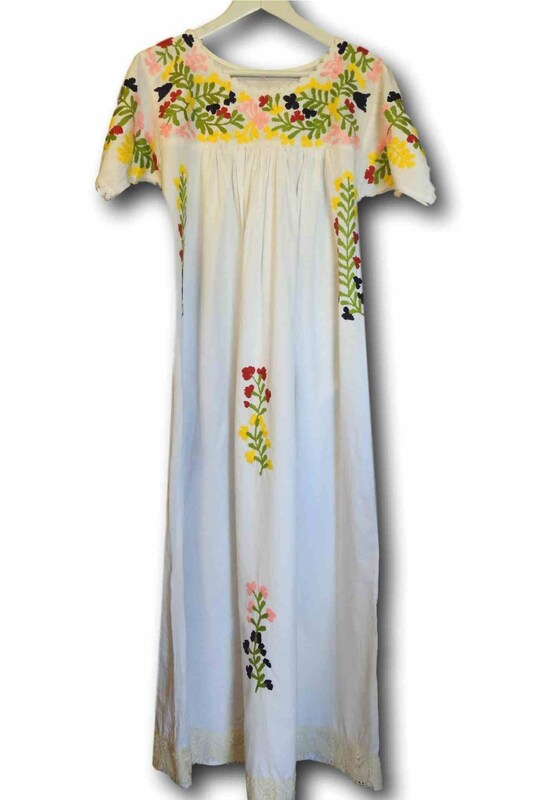 Designed with French vintage lace, this Coachella style long dress celebrates 1970s inspired clothing and fashion style. 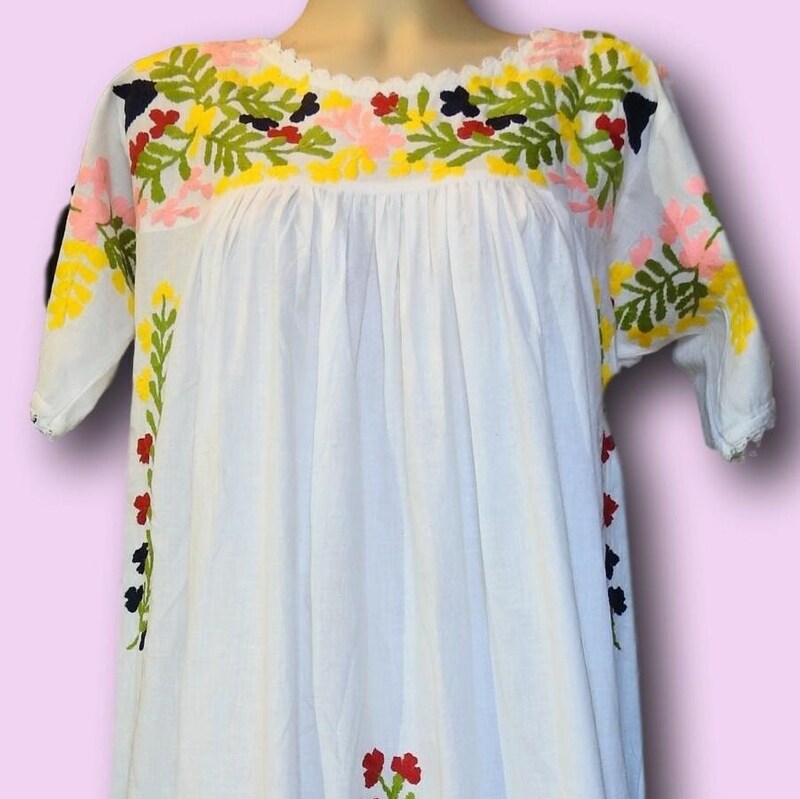 ● Clothing style: Boho & hippie, 70s inspired. 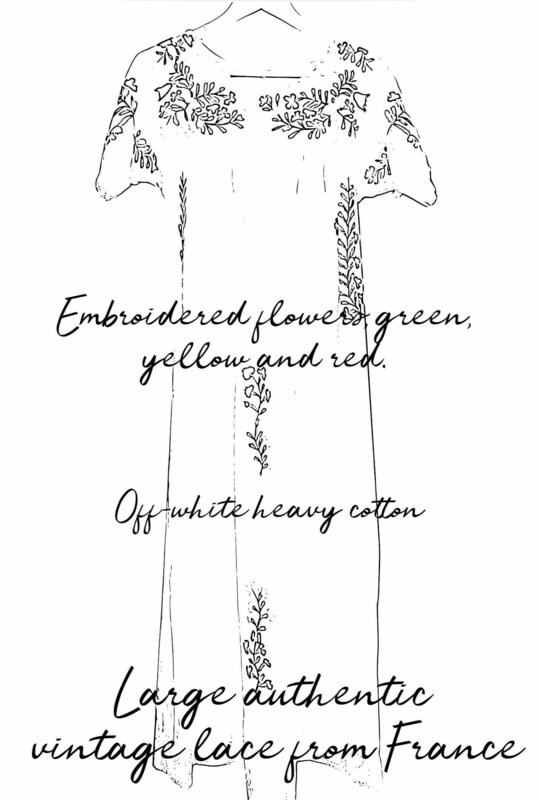 ● Secondary colors: green, red, pink, yellow. 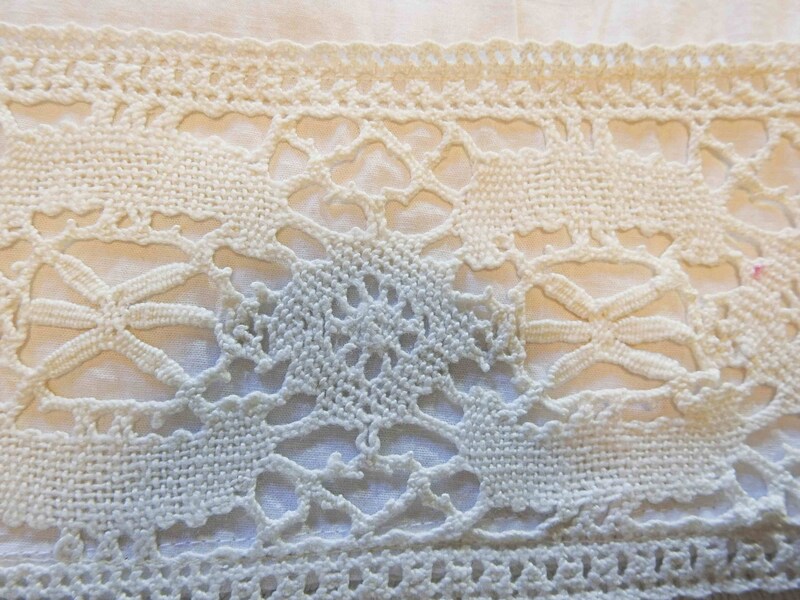 ● Material: Heavy cotton and authentic vintage lace trim from the very famous vintage market, Le Dimanche du Peyrou, in Montpellier. 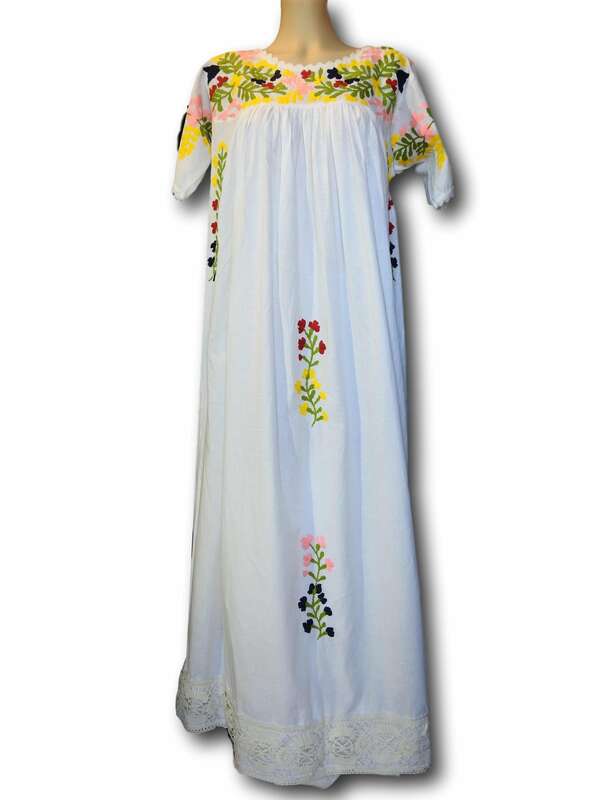 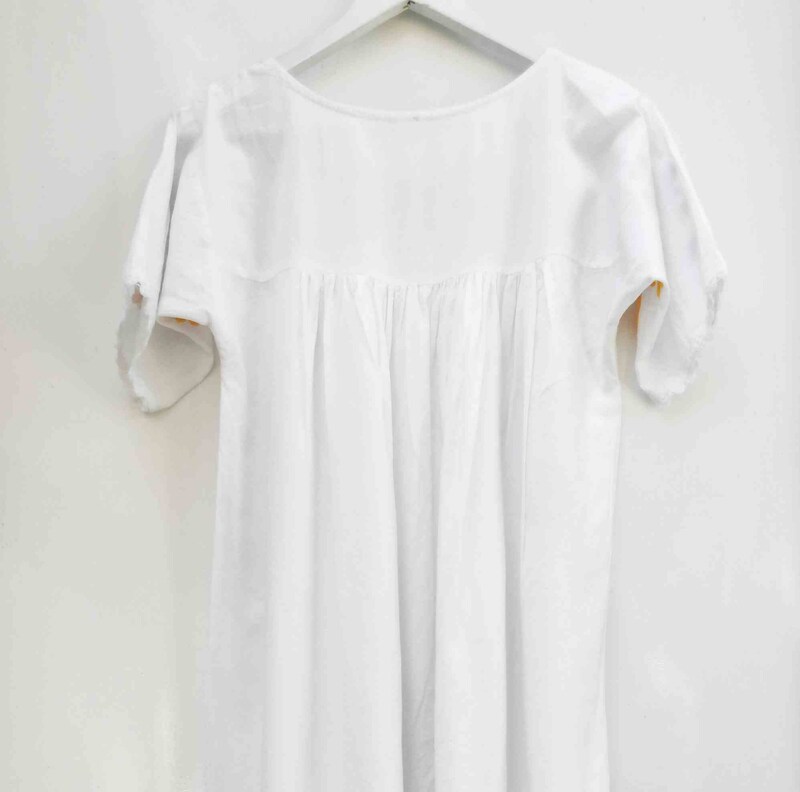 Thank you for exploring this exotic and adorable extra long maxi Mexican embroidered dress.